Additional dates available upon request. Large group tours available. We offer custom designed tours. 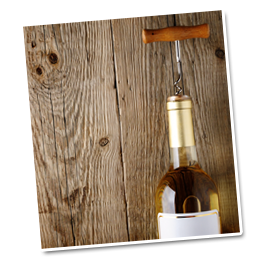 Visit a Maryland winery to meet the winemakers and see how your favorite wine goes from grape to bottle. Enjoy a leisurely escape among the rolling hills and beautiful vineyards. Wine Tours include roundtrip transportation, tastings at 3 Wineries, cold bottled water and snacks! You are welcome to bring your own food on the bus to enjoy at the Wineries. Big Cork Winery offers a Grab and Go Food Market with many yummy options, including fresh-baked breads, hand-selected local, domestic and international specialty cheeses, charcuterie and gourmet spreads. Guest Pickup Location: 10:30 a.m. pickup time (Sunday Pickup Time is 11:30 a.m.) at the Hagerstown Premium Outlets in the Food Court parking lot. Return time is between 4:30 p.m. and 5:00 p.m.
*Maximum of 14 –Mini Bus with individual seating & large windows to enjoy the beautiful rolling hills and vineyards of Washington & Frederick County, Maryland. All guests must be 21 and older and provide ID. No alcohol other than what is purchased at the wineries is allowed. Purchases must stay on board at each stop. No pets. Minimum of 6 must be met for tour to run. Notification of cancellation will be emailed to the purchaser by Friday before the Tour Day. Antietam Tours/Road Runner Services will be offering Mini-Coach drive-throughs of the Annual Antietam National Battlefield Memorial Illumination. Antietam Tours/Road Runner Services will be offering Mini-Coach drive-through’ s of the Annual Antietam National Battlefield Memorial Illumination. Since 1989 an annual remembrance of the battle of Antietam has been held the first Saturday in December. It is signified by 23,110 luminaries, one placed every 15 feet, row upon row, column upon column. The luminaries are set up as far as a person can see, along with a 5-mile route, throughout the fields, and around monuments. Volunteers systematically set up the luminaries throughout the day, and candles are lit starting at 3 p.m. In a typical year, the National Park Service has reported that more than 20,000 people experience the Illumination, from 6 p.m. until midnight. $30/person includes: Roundtrip transportation to the Antietam National Battlefield Illumination There will be an Antietam Battlefield Guide onboard every Bus. Tickets for the tours are available from Antietam Tours/ Road Runner Services – by calling them directly at 301-573-1930. The cost is $30 per person and MUST be purchased prior to the event. This event WILL SELL OUT QUICKLY. We will depart from the Washington County Convention & Visitor’s Bureau located at 16 Public Square Hagerstown, MD. There is plenty of parking available. The tickets are not refundable, and the vehicles buses are not the type classified as handicapped-accessible. On the evening of December 1 at 5:30 p.m. the Visitor’s Center will be open. Organizers stress that tickets for this year’s buses will sell out. The inclement weather date is Saturday, December 8, 2018, which will be decided by the National Park Service. For reservations please call (301) 573-1930. Pickup location for these Tours is the Walmart Parking Lot at the Center on Garland Groh Boulevard. All Tours are held rain or shine. No pets. Tours are subject to cancellation if we do not receive a minimum of 8 participants.